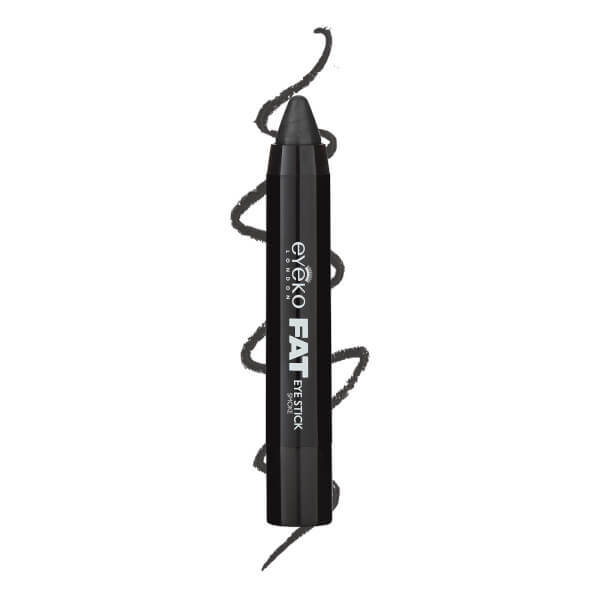 Accentuate your peepers with the Eyeko Fat Eye Stick; a chubby crayon that applies effortlessly to deliver long-wearing, high-pigmented colour. With a twist-up design, the easy-to-control jumbo pencil glides on without dragging or tugging. 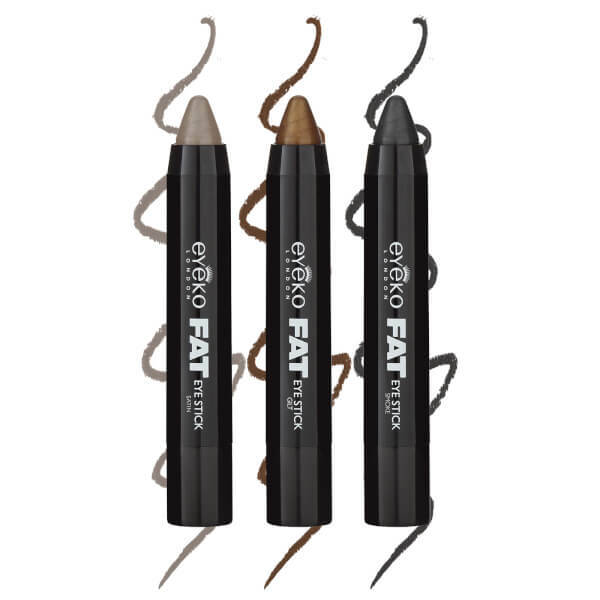 Use to line and define, or blend across the entire lid to create a professional eye makeup look. Smoke: A charcoal hue for a smokey eye. Gilt: A universally flattering metallic. Satin: A shimmering taupe shade. Smoke: Ceresine, Ozokerite, Cera Alba (Beeswax), Microcrystalline Wax, Octyl Palmitate, Octyldodecanol, Lanolin, Petrolatum, Polyisobutene, Lanolin Oil, Propylparaben, Mica, BHT. MAY CONTAIN: Cl77891 (Titanium Dioxide), Cl77491, Cl77492, Cl77499 (Iron Oxides), Cl19140 (FD&C Yellow 5), Cl16035 (FD&C Red 40), Cl42090 (FD&C Blue 1), CI 77007 (Ultramarines), CI 77288 (Chromium Oxide Green), CI 77510 (Ferric Ferrocyanide). Gilt: Ceresine, Ozokerite, Cera Alba (Beeswax), Microcrystalline Wax, Octyl Palmitate, Octyldodecanol, Lanolin, Petrolatum, Polyisobutene, Lanolin Oil, Propylparaben, Mica, BHT. MAY CONTAIN: Cl77891 (Titanium Dioxide), Cl77491, Cl77492, Cl77499 (Iron Oxides), Cl19140 (FD&C Yellow 5), Cl16035 (FD&C Red 40), Cl42090 (FD&C Blue 1), CI 77007 (Ultramarines), CI 77288 (Chromium Oxide Green), CI 77510 (Ferric Ferrocyanide). Satin: Ceresine, Ozokerite, Cera Alba (Beeswax), Microcrystalline Wax, Octyl Palmitate, Octyldodecanol, Lanolin, Petrolatum, Polyisobutene, Lanolin Oil, Propylparaben, Mica, BHT. MAY CONTAIN: Cl77891 (Titanium Dioxide), Cl77491, Cl77492, Cl77499 (Iron Oxides), Cl19140 (FD&C Yellow 5), Cl16035 (FD&C Red 40), Cl42090 (FD&C Blue 1), CI 77007 (Ultramarines), CI 77288 (Chromium Oxide Green), CI 77510 (Ferric Ferrocyanide).